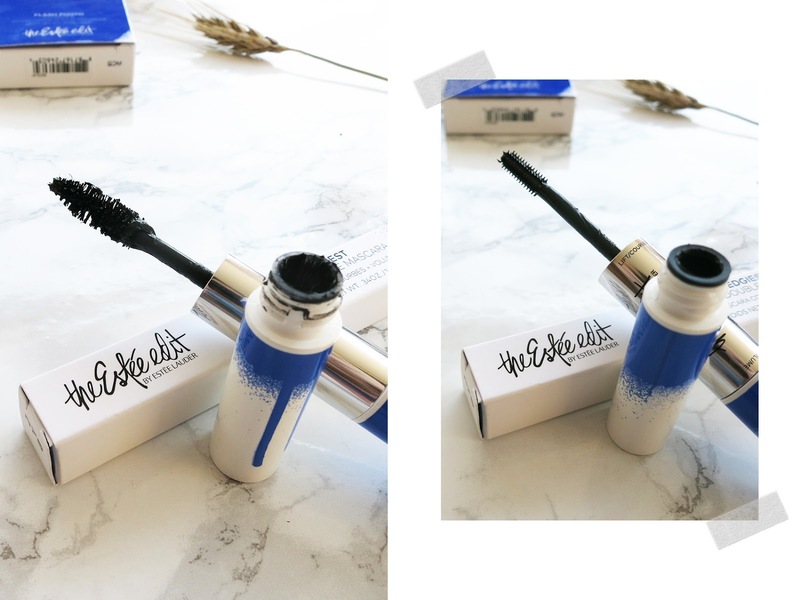 A little review of the Estee Edit by Estee Lauder Mascara and Fixing Powder. It has been centuries since my latest beauty post (seriously I think it was around June!) so I better write a new one right now. There are a few products I grabbed in London before coming back and they arrive straight from Selfridges. 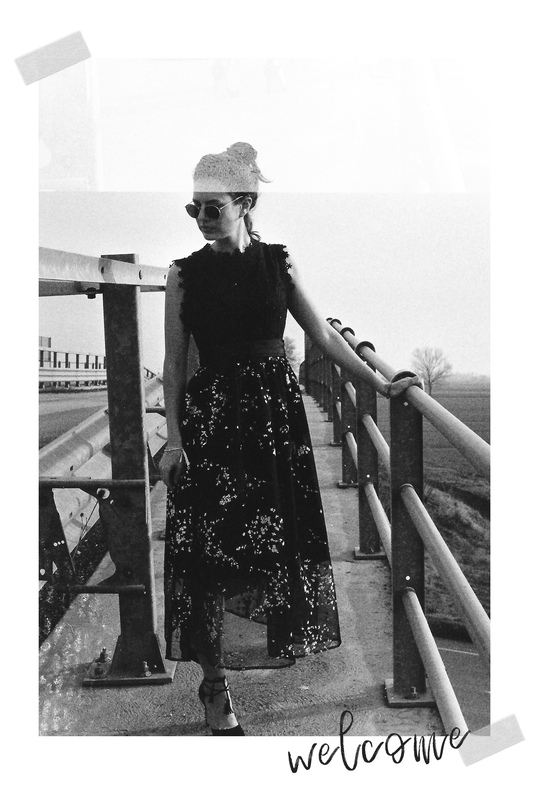 Yes, I am talking about this capsule collection (can I define it this way?!) that Estee Lauder launched late this spring. 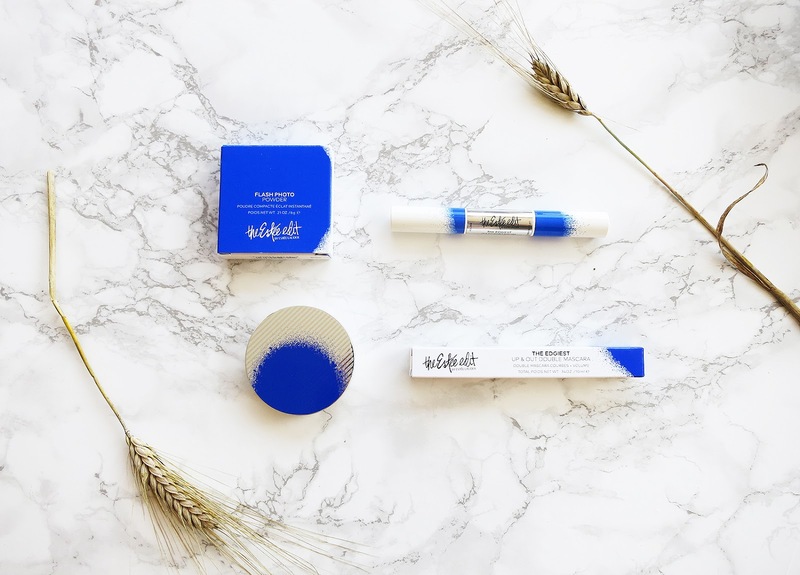 The Estee Edit by Estee Lauder. This small collection can be found only on Selfridges online and at Selfridges in London or at Sephosa US. I know. I decided to buy only two pieces that I needed even though I was in love in the bright lipsticks. Like CT, the Estee Edit is pretty expensive. Unlike CT, quality is good not exceptional. 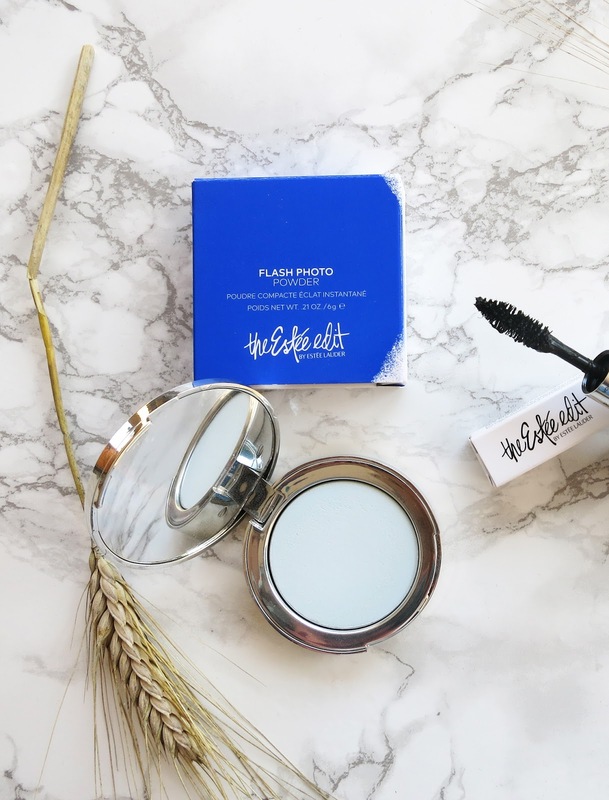 Hence, let’s talk about the Estee Edit Mascara and the Estee Edit Fixing Powder better known as the Flash Photo Powder. This double mascara is for strong eyelashes. Meaning, it is really heavy. The formula inside is really thick and on the volume side it makes a lot of grains during application. You need to get out less product than on your normal mascara, and you will be good. The brush is messy but it does a great job on adding volume, unfortunately in a messy way. The other thin brush (on the right) can be used for the lower eyelashes or to lift and separate the upper ones. I don’t know how to use this shape of brush, I find it useless. I also don’t like the fact that storing this mascara is complicated: one way or another the dense liquid inside goes up and down due to gravity. Overall I was a little bit disappointed. The only good thing is the smell (yes, I do choose mascaras from the smell they make) but this time this hasn’t saved me. 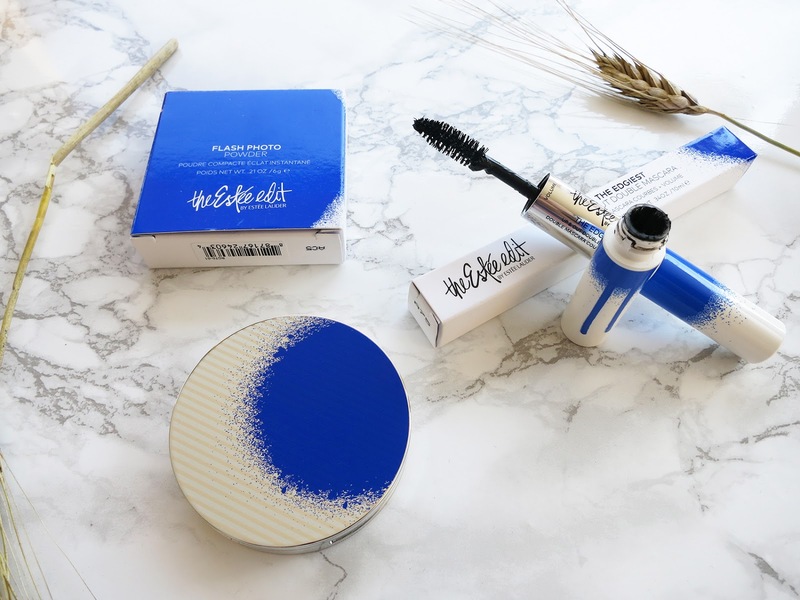 The Estee Edit Mascara smells like roses and ink. About the colour, the black is authentic because it is pitch black. On the other hand, packaging is exceptional, I love how the blue gets into the white. Also, if you need your lashes to be thicker and stronger, why not try a Latisse product to see some wonderful results! You can find more information on how it works and how to use it here. I have only heard great reviews about it. Switching to the powder. They sell it as the perfect glow you need in pictures. Well, you can’t notice it, not even a glimpse. Anyway I needed a fixing powder to mainly set foundation and concealer and for this purpose is great! Very light, very subtle and easy to apply. 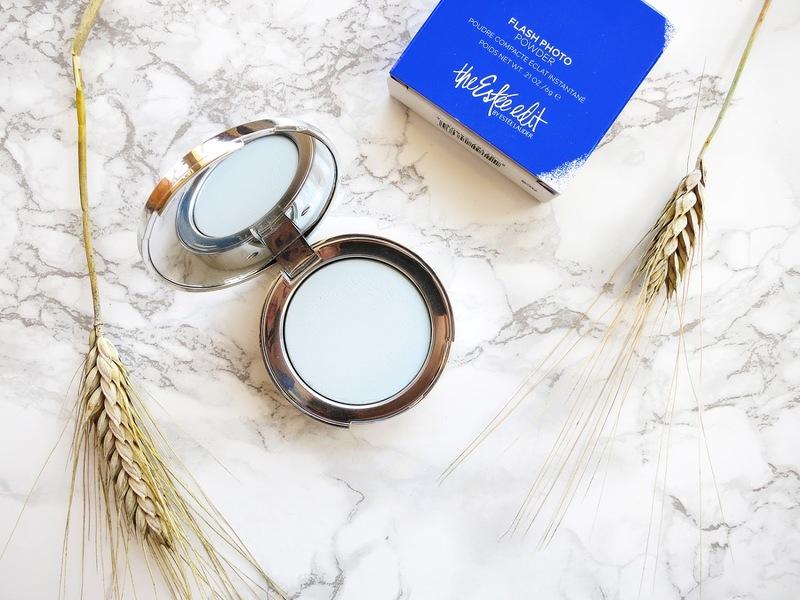 Packaging here is so so pretty: it looks like a moon, the mirror inside does its job and there is plenty of product inside. I think I will finish it in 10 years or even more. Do they have an expiring date?! So this time I was more satisfied with this purchase and I would suggest you.